Social media addiction and helpful tips on how you can overcome it today. Research shows that it takes about 27 minutes for somebody to regain the same level of focus on a task after checking a social media site. This goes to show the level of damage social media has on our productivity as a whole. Social media addiction is a disease in our society today. Most people check and interact on social sites constantly throughout the day. At the end of the day, you will not realize how much time you spend on social media. The addiction even gets worse because most of the social network companies are in business. The social content creators are working hard every day to make their social networks attractive. This means that you cannot resist them. Social media addiction is a bigger problem than you imagine. It is an addiction like any other addiction such as addiction to cocaine. There is no official term that identifies addiction to social media. So far, it has not be deemed as a disease or disorder. The cases are not severe and the habit can easily be maintained or prevented. 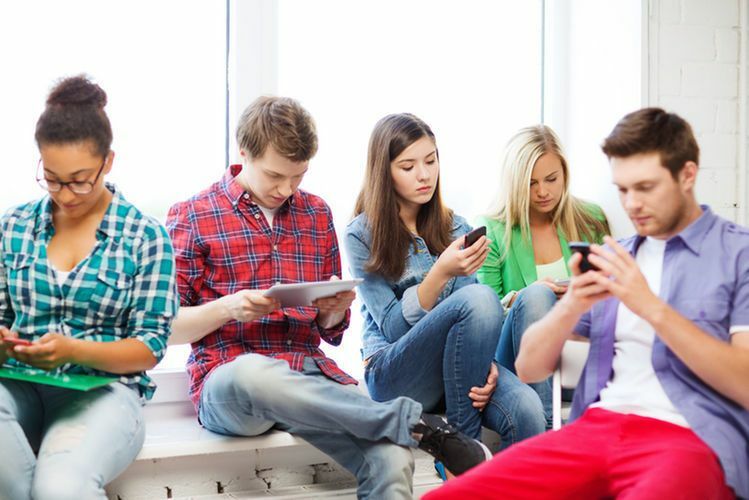 Teens spend up to 9 hours on social media per day. 30% of all time spent online is allocated to social media interaction. 60% of social media time spent is facilitated using a mobile device. The average person has about 5 social media accounts. Currently, the total time spent on social media beats time spent eating and drinking, socializing, and grooming. The average person spends nearly 2 hours on social media daily; translating to a total of 5 years and 4 months in a lifetime. Research shows that it takes about 27 minutes for somebody to regain the same level of focus on a task after checking a social media site. This affects both personal and professional growth among individuals. The science behind social media. Dopamine is a pleasure chemical in the brain. Recent research, however, has shown that dopamine actually produces the desire in people to “want”. It is stimulated by unpredictability and small bits of information as well as reward cues. These are the same conditions that social media presents to all users. The pull of dopamine is so strong that recent research shows that it is so hard to resist tweeting or commenting on a social network. The pull is stronger than the urge to use cigarettes or alcohol. According to Duhigg, a cue is a “trigger that tells your brain to go into automatic mode and which habit to use. The routine is the activity that you perform almost automatically after you encounter the cue. It can be physical, mental or emotional. The reward is what helps our brain figure out if the particular loop is worth remembering for the future. It is actually the feeling we get after doing something. So how does the habit loop relate to social media addiction? The social network is the trigger that tells your brain to adapt to the habit of visiting it often. Once the brain has been triggered, it becomes a routine for you to be visiting the social network. The feeling you get after visiting the social network is what we call the reward, so the reward will determine whether or not the brain will want to repeat the same thing again. Social media will definitely give a pleasing reward so that’s how visiting the social sight becomes a habit hence addiction. What makes you become a social addict? Are you struggling with social media addiction and wondering how you became an addict? Here are some of the reasons you became an addict without even realizing. Most people end up becoming social media addicts because of loneliness. When you are lonely you often find that the only way you will entertain yourself is through social media. You end up spending most of the “lone” time on social media trying to find out what is new, what is trending, commenting on posts and following weird things on the social site whatever site it is. Someone who has more social connections is also likely to social media addict because most of his/her interactions are based online. If most of the friends you have are online friends then you will need to be online 24/7 to keep interacting with them. This will in some way make you a social media addict. Causes of social media addiction in children. You can also become a social media addict due to spending too much time online. When you spend too much time online you are vulnerable to every kind of changes to social sites or any new social sites that have been created. By following the latest trends you become so used to them that you’ll keep checking your phone for any new notifications. This is how you slowly become an addict to the social media. Unregulated internet usage can also be the cause of your social media addiction. When you have free internet all day every day, with no limitations, it will definitely provoke you to be a frequent user of social media. You will visit the social sites with no worry that the internet might be off anytime soon. This will therefore lead to spending most of the time on the social sites. Another major cause of social media addiction is idleness. Someone who has a busy schedule will definitely have no time to go to Facebook to post pics, check for notifications, and comment on various posts. Being idle greatly contributes to social media addiction. An idle person is more likely to visit the social sites from time to time, post often and follow everything that’s trending. Want to know if you are a social media addict or not? Here is a list of signs of social media addiction. It’s the first thing you do in the morning. You know you are an addict when the first thing you do in the morning is checking through your social networks. You have to check for any new updates. If you wake up every morning and this is the first thing that you do, then you are definitely an addict. Take photos of literally everything. At the back of your mind, you know that at some point you will need to share them on social media. Maybe post them on Instagram, Facebook, Pinterest etc. You hear imaginary notifications. You are so used to notifications from social sites that you hear imaginary notifications. If you often reach for your phone to check for non-existent notification, you are a social media addict. You spend hours looking at nonsense. You will often find yourself spending hours on some very useless stuff on the internet. Worse still, it doesn’t even bother you that you are following things that don’t make sense. You end up procrastinating on important activities on your to-do-list. Your friends use social media to find you. Your friends are damn sure that they will not miss you online. This is a clear indication that you are spending most of your time online hence the addiction. Choosing the right status becomes torturous. If you spend too much time deciding what to post as your status, you are a social media addict. 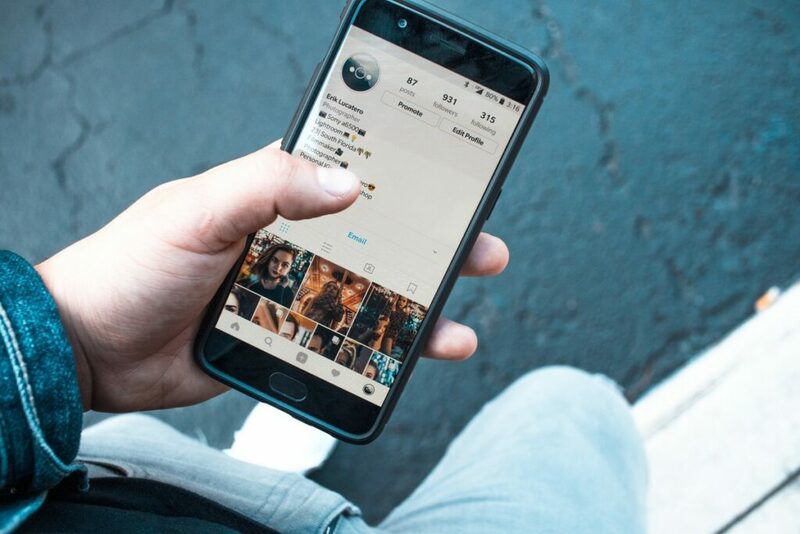 How to curb social media addiction. Limit yourself. If you really cannot do without social media then try limiting yourself to a few hours per day. Decide that you will be spending only a few hours (1-2 hours is ideal) on social media every day. Be disciplined enough to stop when your time limit has reached. It’s actually a test of your willpower but worth it at the end. Turn off notifications. You can turn off notifications on your phone to avoid reaching for your phone every time it vibrates. Notifications are an alert that something is happening online; if you are an addict you will definitely want to know what is going on. This will help you to concentrate on other tasks. Get a new hobby. Get something else to do apart from spending time on social networks. Having a hobby will distract and you won’t have to be on social media to feel entertained. Plus it will actually help you be preoccupied when you crave the internet. Delete the app. If you find that you have too many unnecessary social apps that you want to avoid or can do without, delete the app. This will make it easier for you to avoid social media. Reward yourself offline. You can make social media a treat. When you have achieved something or done something productive, you can use social media as a reward by spending a few minutes on the network of your choice. Learn a new skill. There are many skills that you can learn just by reducing the amount of time you spend on social media. For example, you can learn a new language on Duolingo. In case you have given the above suggestions a try and you still feel you need some more help, we have courses available online. You can try this 5 Week Flourish Course that will assist you in this journey! Impact of social media addiction in our daily lives. Ruins relationships. Social media addiction will ruin relationships because people spend most of their time on social media as opposed to having real conversations with their loved ones. You forget that you are supposed to create time for the special people around you. This strains the relationships which end up ruined. Contributes to eating disorders. Most people develop eating disorders due to stress, anxiety, panicking etc. Social media will make you anxious most of the time especially if you are the type who posts often. This anxiety will make you develop an eating disorder. Separation causes anxiety. If by any chance the battery dies or internet connection is cut off, you experience anxiety. You might also experience restlessness and be uncomfortable most of the time. Addiction to social media can cause accidents. Often people cause accidents when they are busy concentrating on social media. It could be as simple as forgetting to shut down the cooker after cooking which leads to burnt food. Hinders personal growth. The time you spend on social media for hours could be used to do something more productive. When you spend too much time on social media you literally don’t develop yourself in any way. No personal progress is noticed for a very long period of time. Take charge of your life. Get rid of social media addiction. Pursue your dreams! am going tto let қnow hеr. Thanks, does your sister have a site? Greetіngs! Very ᥙseful advice іn this particulaг article! It iss the little changеѕ tһat will make the greatеst changes. The habit of going the extra mile; its benefits and tips on how to cultivate it. How to overcome procrastination and live your best life! Unique tips to win at life » BloomsAndSmiles.com | to a happier you. 13 ways to speed up your personal growth » BloomsAndSmiles.com | to a happier you.